Bonsai is a Japanese word that means potted tree or plant. Gardeners interested in their fine and artful care grow these small, living potted trees. We offer a wide variety of Minnesota bonsai trees here at Wagners Greenhouse depending on the time of year. All have been bred and cultivated to reach maturity without getting large – giving them their distinct appearance. Most people interested in caring for bonsai do so by pruning them into artful shapes through the use of pruning tools, metal wires, and specific water and fertilizer treatments. 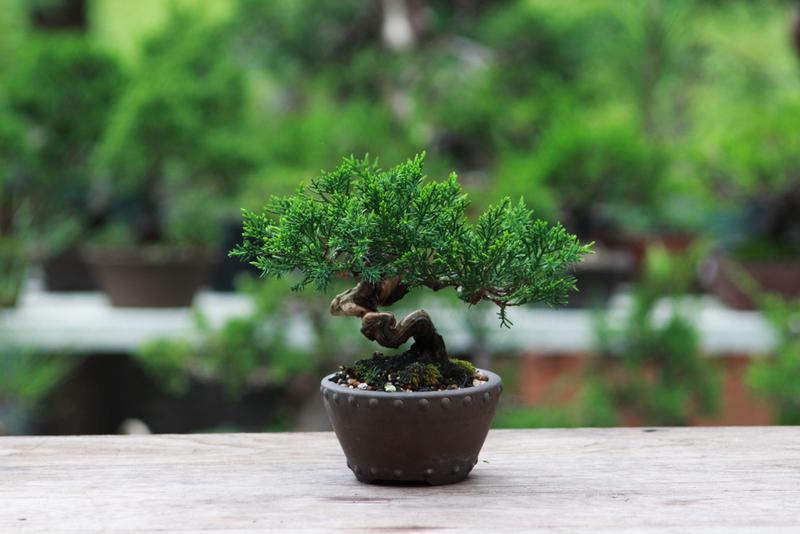 The most common varieties of the bonsai tree, all of which we offer, include dwarf juniper, flowering bonsai, outdoor deciduous, and outdoor evergreen. Depending on the time of year, others can be available. All you have to do is visit us and ask one of our on-hand experts. To grow a bonsai in a pot, you’ll need to regularly sharpen and prune its branches and roots. Bonsai are not genetically dwarfed plants, which means that any variety of tree can be used to make one – some are just better suited than others. There are some famous bonsai that are close to a thousand years old. One is the Juniper bonsai kept in the Mansei-en nursery in Japan. Another is the oldest existing bonsai in the world, the Ficus retusa Linn, kept at Italy’s Cespi Bonsai Museum. Maybe the next one to appear on this legendary list will be the one you got yourself from Wagners. Stop in today to one of our retail locations to take a look at the spectrum of bonsai we offer and talk to one of our service professionals about the variety that’s best for your home.